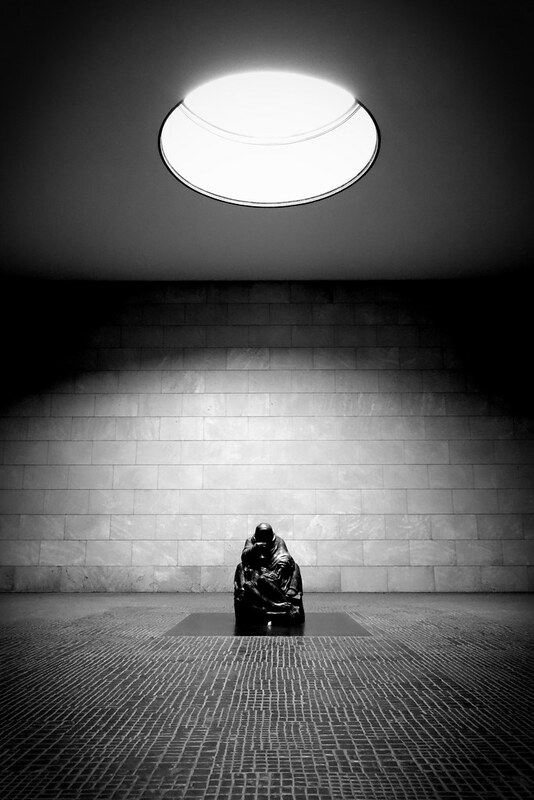 This is Neue Wache, a memorial in Berlin dedicated to civilian victims of war. According to online and other published documentation, the central statue depicting a mother and her dead child is placed under the oculus to deliberately expose it to the elements. It also provides the moving piece of art with very striking lighting.